St Ethelwold’s House is a centre for spiritual and personal growth founded and rooted in the contemplative tradition of Christianity. The House is a place of ‘prayer, rest and recreation’. It offers a haven of peace and tranquility in a beautiful 14th-century house in the centre of Abingdon, with lovely gardens leading down to the River Thames. With its programme of regular meditation, courses, retreats and other events, St Ethelwold’s encourages the exploration of Christian faith through prayer and meditation, and through its educational and outreach programme. St Ethelwold’s is owned and managed by the Fellowship of St Ethelwold which is an independent trust with charitable status. The Founder of the Trust, Dorothea Pickering, was a friend of Bede Griffiths and she was much influenced by his life and writings. The Trust provides opportunities for people to engage in spiritual growth and reflection. 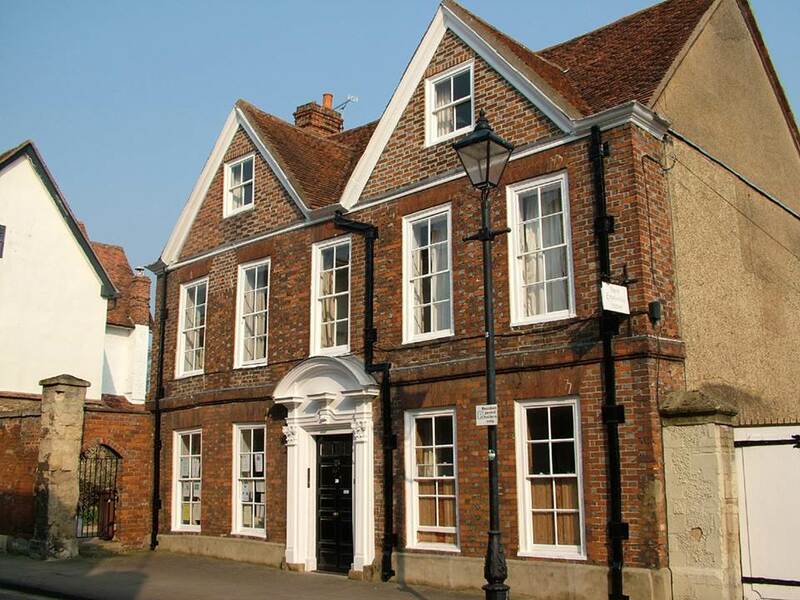 These can be events arranged by the Trust or events organised by other groups using the facilities of St Ethelwold’s House. There is a regular programme of meditations, talks, classes and weekend retreats and there are possibilities for individual retreats in the house. In keeping with its founding intention, a priority is given to Christian spirituality, but the Trust recognises the call of Jesus to transcend boundaries and for people to worship God ‘in spirit and in truth’. Accordingly, the Trust is non-denominational and ecumenical, and uses an inclusive approach, drawing on the broad spectrum of religious and spiritual traditions, honouring the spiritual path of all who come to St Ethelwold’s. Hire of our attractive day and residential accommodation. The facilities at St Ethelwold’s include Meeting Rooms, the Sanctuary for meditation and other spiritual practice, excellent residential accommodation and the lovely garden. These are available for hire by churches of all denominations to run courses, away days. meditation and other activities, including quiet days and short residential retreats. Other Christian Groups and Groups from other religious traditions are also encouraged to use these facilities. Many of these activities are included in the Trust’s public programme. The accommodation can also be hired for private social and family occasions, such as wedding receptions, family parties.